Jaclyn Sampson is the Community Awareness Coordinator (Sunshine Coast) for Surf Life Saving Queensland and asked us to include this flyer in our newsletter. There is an opportunity for students coming up in the April school holidays to learn vital life skills. 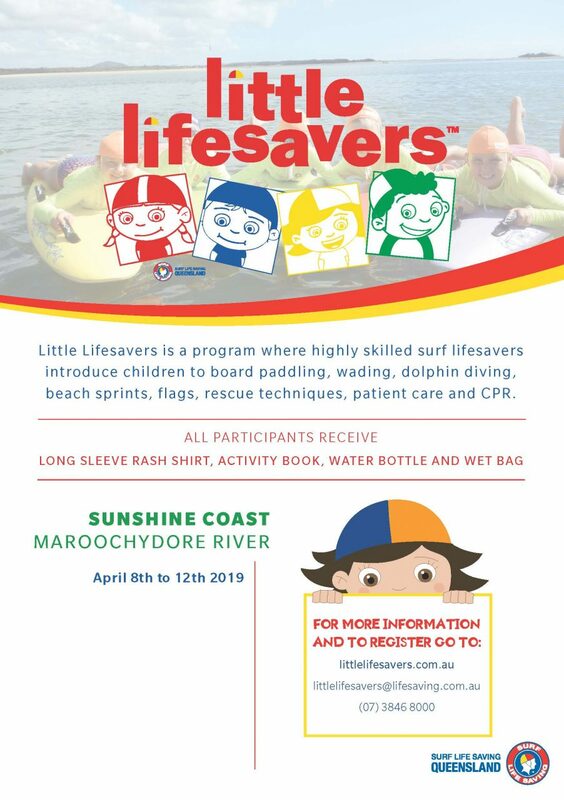 They will be running the award-winning Little Lifesavers program from Monday 8 April – Friday 12h April 2019, 8am – 10am.